Our customer service is available 24 hours a day, 7 days a week. Valet Connections started operating in January 2011 to provide airport parking Detroit International. Located within one mile of the airport terminals, which is our pick up and drop off point, all customers are transported via our complimentary shuttle service to and from the Detroit Metro Airport terminals. If you travel on a regular basis, you will understand the frustrations that many people face. Looking for Parking at Metro Airport Romulus, MI can be very time-consuming. In addition, hauling your baggage through the parking lot can usually leave you wondering if there is a better way. Many travelers are often concerned about the safety of their vehicle especially with parking Detroit Airport. Let Valet Connections take your parking worry away. At Valet Connections, we are committed to making your parking journey effortless. There is no more searching for a parking spot or remembering where you parked your vehicle. At Valet Connections in Taylor, MI, our dedicated and friendly staff will do everything possible to make your trip a trouble free one. 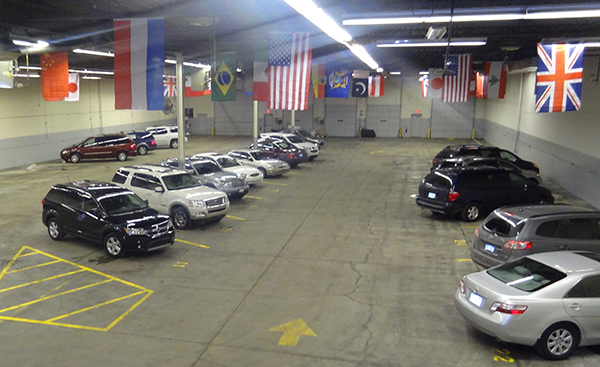 Our experienced and certified drivers are present at our drop off location to help with your bags and move your vehicle to our completely secure and fully enclosed video surveillance parking facility for protection until you return. In-Flight Auto Service – Oil changes, inspections, brakes, tire rotation and other minor repairs are some of the services being provided. Covered Check-In – Whether it is raining or snowing, you will always be protected under our completely covered car drop off and pick up area. Auto Grooming – Your vehicle is professionally detailed by our trained staff; includes vacuuming, washing and waxing. If an accident takes place while moving your vehicle, Valet Connections has an insurance policy that safeguards up to $100,000 in damages. Should there be a cancellation or delay in your flight, an attendant is always available to accommodate you. Valet Connections is a proud member of the National Parking Association (NPA).